Unique Features: Timeless mirror is crowned with elegant, all-wood moulding. Antiqued drop-bail hardware enhances the traditional Louis Philippe styling. The sleigh bed is made more lovely with four antiqued metal decorative medallions. Case pieces feature ample room for storage with standard drawers as well as hidden, felt-lined jewelry drawers. 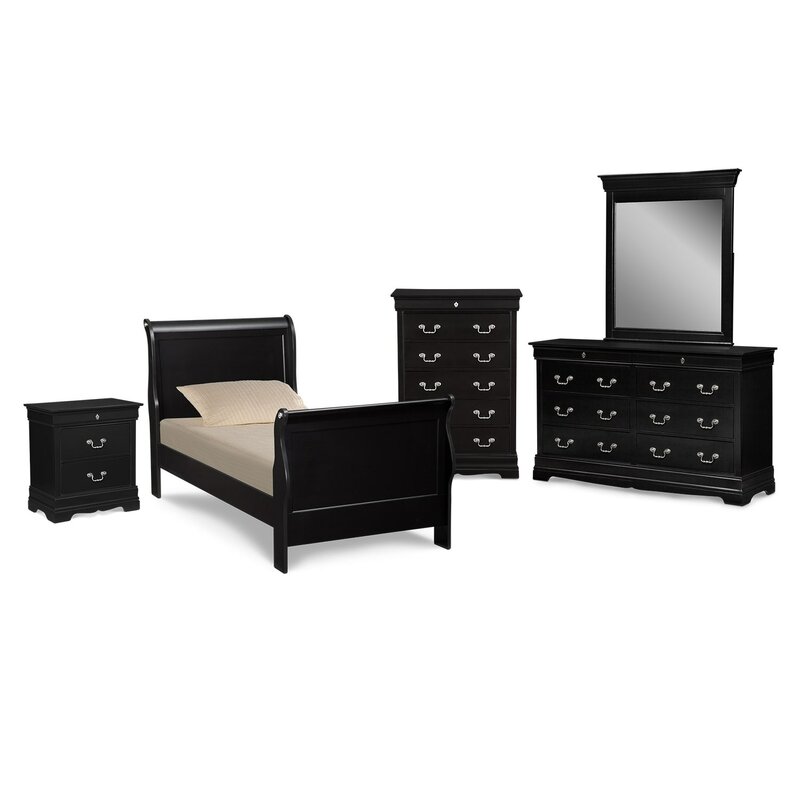 Construction: All-wood construction is presented in a rich, hand-applied black finish.